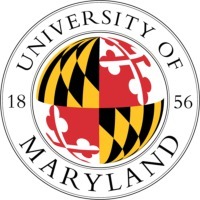 Review: The University of Maryland, College Park (often referred to as The University of Maryland, UM, UMD, UMCP, or Maryland) is a public research university located in the city of College Park in Prince George's County, Maryland, just outside Washington, D.C. 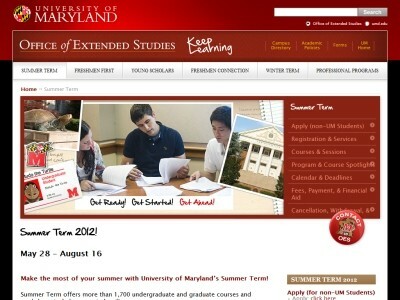 Founded in 1856, the University of Maryland is the flagship institution of the University System of Maryland. With a fall 2010 enrollment of more than 37,000 students, Maryland is the largest university in the state and the largest in the Washington Metropolitan Area. It is a member of the Association of American Universities and a founding member of the Atlantic Coast Conference athletic league. The University of Maryland's proximity to the nation's capital has resulted in strong research partnerships with the Federal government. Many members of the faculty receive research funding and institutional support from agencies such as the National Institutes of Health, the National Aeronautics and Space Administration (NASA) , the National Institute of Standards and Technology and the Department of Homeland Security. As of fiscal year 2009, the University of Maryland, College Park's operating budget was projected to be approximately $1.531 billion. For the same fiscal year, the University of Maryland received a total of $518 million in research funding, surpassing its 2008 mark by $117 million. As of February 28th, 2011, the university's "Great Expectations" campaign had exceeded $800 million in private donations. Location & access map for "University of Maryland, College Park"